Lao language drama written and directed by Kim Mordaunt. Ten-year-old Ahlo (Sitthiphon Disamoe) has an ill-fated future; people believe that he brings bad luck everywhere he goes and is condemned to do so for the rest of his life. Desperate to escape from his destiny he leads his family away to find a new home where people don’t know who he is. 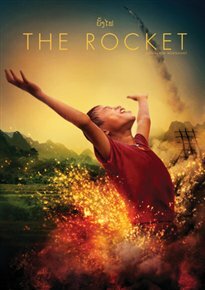 On hearing about the annual rocket festival competition he sees this as an opportunity to build a rocket, redeem himself and prove that he’s not cursed.